Yes, the rumors, bizarre as they are, are true. 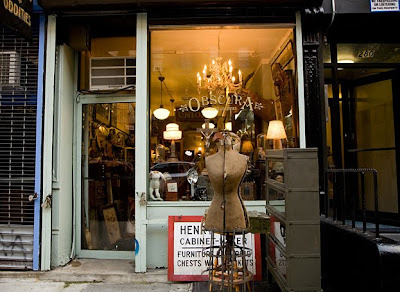 Obscura Antiques and Oddities--my absolute favorite store in the world, see images above--is now the base, inspiration, location, and cast-provider for "Oddities," a new reality TV show (sic) that will be shown on The Discovery Channel starting next Thursday. The show stars not only friends and friends-of-the-blog Evan Michelson (Morbid Anatomy Library scholar in residence) and Mike Zohn--the proprietors or the inimitable Obscura Antiques--but also an array of other fascinating friends and collectors who travel in their circle. With this cast, setting, and array of possible situations, "Oddities" will doubtless make unusually compelling reality television. I, for one--and please note, I generally HATE reality TV!--can't wait to see it! Manhattan's own Obscura Antiques & Oddities and its owners, Mike Zohn and Evan Michelson, are the focus of a new series, "Oddities," premiering Nov. 4 at 9:30 p.m. on Discovery Channel. It'll air Thursdays at 9 p.m. thereafter. The shop, located at 280 East 10th (between 1st Avenue and Avenue A) has a cornucopia of just-plain-weird stuff, like human gallstones, late 19th century poison bottles and bizarre medical instruments. And Zohn and Michelson seem just as colorful (he's a "creative taxidermy" winner; she's into Victorian mourning jewelry and was in a "Goth fetish band," whatever that is). In the first episode, Mike finds a mummified cat in the private collection of "an eccentric artist" (ya think?) but worries it might be putrefying. Yeeeccchh. He also informs a customer, who thought he had a collection of musket balls, that they're actually something else entirely. I won't spoil it for you. The second episode finds Evan encountering a puppeteer who's looking for a prosthetic limb, and a customer who has what appears to be a dead body in the trunk of his car. The show premieres Nov. 4 at 9:30 p.m. on Discovery Channel; after the launch, it will air Thursdays at 9 PM. 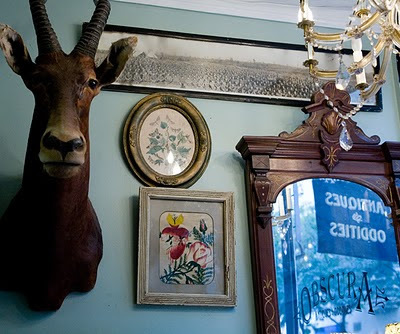 You can find out more about Obscura Antiques and Oddities by clicking here; you can see a recent MA Post on the story by clicking here. Thanks to Lord Whimsy for alerting me to the official announcement. I think I'm upset about this but I'll probably watch it anyway. Also, I had no idea Lord Whimsy was anyone beyond a vaguely creepy old man on LiveJournal! Just watched the 1st episode. I have the feeling this is going to become a must see weekly show. Loving it! Just saw your show last night. Loved it! Boy, do I miss NYC (my hometown) so bad. Just wrote you guys up on my Ghost Lounge Side Show. Again, it was good fun watch it. 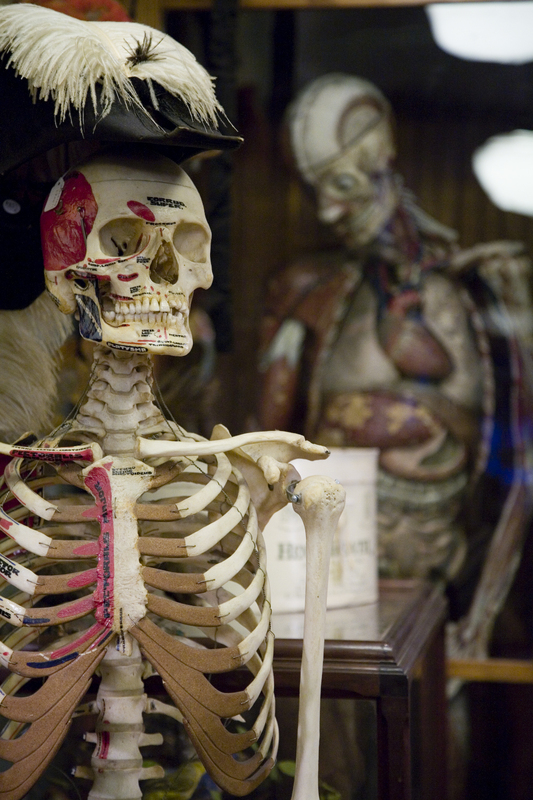 Morbid Anatomy is a great site. It is very useful for research for all the students and teachers. Very interesting and educating. I hope I can visit your shop someday.Really! I caught an episode of that show (which I thought was good enough to watch again) and immediately thought of you. But, really, watching the show made me want to come read your blog, because I hadn't been here for awhile. wow. what a intersting show. just happened to scroll by it and checked it out ...nothing else was on...but...i am hooked. strange people and strange objects. i will be watching this every chance i get. the on demand station has the older shows i missed. i watched them all. cool show.